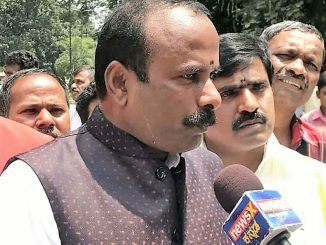 There has been renewed hope among some circles in Bengaluru after the Union Railway Minister Mr. Sadananda Gowda made a mention in the Rail Budget about the much delayed Suburban Rail System. The project also found a mention in Siddaramaiah state budget last year. A Special Purpose Vehicle was formed as well by the State Government. This was without the involvement of Railway Board. Praja RAAG, an online forum, has been pushing for implementation of CRS for the last few years. Unfortunately, they have found little support from political circles or from citizens for this project. This is not surprising considering that people in Bangalore are not aware of the differences between a Suburban Rail and a Metro System. A metro system proposes to create a new network for transport and runs overhead or underground. A Suburban Rail uses the existing Rail Infrastructure to ferry commuters and runs at ground level. The argument in favour of a Suburban Rail System is necessitated as the proposed implementation of Phase Two of Metro would only cover areas till Kengeri in West and Whitefield in East. Similarly, it would stop with Electronics City in the South and Hebbal in the North. Most people don’t seem to realize that Bangalore has grown way beyond these localities. They also seem to be oblivious to the fact that implementation of Metro would cover only 108 kilometres and cost Rs. 26,000 crores. On the other hand Namma Railu could cover a network of 400 kilometres with an investment of Rs.10,000 crores. Most cities globally have a minimum of two rail networks. Who will benefit from Commuter Railways? (1) Workers and staff of Narasapura Industrial Estate. The Estate has big names like Honda, Triumph, Scania and Mahindra Aerospace. Naraspura Industrial Estate has grown as an Automobile hub in recent years because of its location on Bangalore – Chennai highway and its easy accessibility to the Chennai Port. Connectivity to Kolar can be boosted by providing a bypass much before Bangarpet. Currently, there is only one train, which runs from Bangalore Cantonment to Kolar. (3) Workers and staff of Toyota Plant in Bidadi and workers from Bosch. Bosch is to be shifted to Bidadi. (4) Workers and Staff from Kumbalgodu Industrial Estate. Major companies here include Wipro, Brittania and Pepsi. (6) Students from major Engineering Colleges on Mysore Road and from institutes like National Law School, BU and Indian Statistical Institute – Bangalore Chapter. All these institutes are located off Mysore Road. (7) Workers and Staff of ACC’s grinding Unit in Thondebhavi. Precot Meridian, Raymonds, United Motors are some other names in Chikkaballapur. Whilst these moves are welcome, there is no clarity on how the Suburban rail is likely to be funded or run. Mumbai’s CRS system is run by an SPV (Maharashtra Rail Vikas Corporation). Hyderabad has its CRS run by the South Western Railways directly, which explains its inefficiency. There is also a complete lack of safety particularly for women on CRS in Hyderabad. If we are to obtain clock life efficiency for Bangalore’s CRS we need the formation of an SPV for the same. The bidding process for this project needs to be absolutely transparent with no hidden benefits to the party, which ultimately is selected as the Equity Partner. The SPV so formed needs to look at alternative sources of revenue such as real estate, advertising etc so that commuters are not burdened and Namma Railu still remains a profitable affair. Transparency in revenue-sharing between the private partner, railways and the government should be ensured before CRS becomes a reality. BMTC could have been a partner! Better Integration between Rail and Bus. This would have resulted in transport in Bangalore becoming truly multi-nodal. BMTC would not have had to run long routes because of the presence of long distance trains. This has actually resulted in the Corporation making losses. A case in example, would be the route 500KE, which is run from Kengeri to Whitefield. A local train along with this route would obviate the necessity for this route. An alternative way to fund this project would be to replicate the Konkan Railway Model. The SPV for Konkan Railway Project was formed through the participation of the Union Government and the State Governments of Karnataka, Kerala, Maharashtra and Goa. Most of the funding of this project was done through the issue of Tax Free Bonds. A small portion was raised through a public issue as well. The Indian railways is not in a position to leverage its balance sheet any longer and the idea of PPP in Railways in India might be met with stiff opposition from rail employees and politicians. Given all these impediments a more pragmatic approach would be to replicate the Konkan Model and see to it that Bangalore indeed gets its much delayed Suburban Railway System. Commuter rail plans going nowhere? 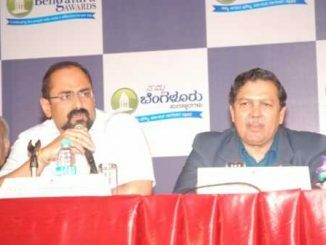 The inaugural Namma Bengaluru awards has received almost 4000 nominations. The finalists are due to be announced this month-end. Winners will be announced on December 12th. As his term comes to an end, outgoing mayor Sampath Raj answers questions on his tenure, BBMP administration in general and what the new mayor of Bengaluru should prioritise. This past Sunday and Monday, Citizen Matters organised a spot drawing competition at ‘Sneha Sante’, National College, Jayanagar. Spot your favourite among the artworks of the young participants. Instead of having a big north south and east west Flyover – this is best solution. I actually meant that a local train from Kengeri to Whitefield would obviate the necessity for 500KE. We met Mr. Ananth Kumar, the Honourable Union Chemicals and Fertilizer Minister on this Sunday. He has been extremely supportive of this project. Bangaloreans need to rally behind this project and get this for our city. Public Support is all the more crucial since the Railway Minister is from Bangalore. I agree with the author, it is the right time BMTC starts involving in mass transit system like railways..
1. long distance route will disappear once metro is operational in another 6 months for ex vijaynagar line.. some of these buses will be realigned with feeder routes..
2. they will have more employees with less work,, they need to plan..
3. if you agree or not they know the logistics better of the city, as they are single largest operators..
Introduction of suburban trains beyond Bangalore was mooted way back when Mr. JH Patel was CM of Karnataka (thru suggestions from Public/Associations etc. to improve Bangalore infrastructure based on Advt. given by Govt. of Karnataka) to help commuters who work outside Bangalore as well as general public. The present traffic could have been reduced largely before Software Companies came to Bangalore. Unfortunately it has taken more than 15 years to come to a proper shape. This can be implemented by both State Govt as well as Central Govt. on a sharing basis as well as on JNNURM funds. Only will power is required by Govt. to implement irrespective which party rule the State or Centre. Employees of BEML, HAL and Bagamane Tech Park will also benefit from the “Vimanapura” line. The Suburban Rail in Hyderabad is run by South Central Railway in partnership with the Government of Telangana.